Passengers are urged to arrive at Daniel K. Inouye International Airport at least two hours prior to overseas flights and 90 minutes before Interisland flights, or as advised by your airline. If you need to park your vehicle at the airport or return a rental car, please add at least 30 additional minutes to your arrival time. Ticket counters for passenger check-in for all airlines are located on the second level of the Terminals 1 and 2, and the ground level of Terminal 3. 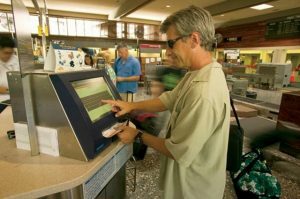 Many airlines offer curbside check-in. 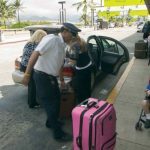 Check with your airline to see if it offers this service at HNL. 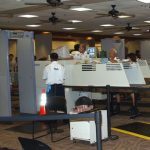 Security checkpoints are located in the Ticket Lobbies of all Terminals for passenger screening before entering the sterile area. Place all carry on items in plastic bins. Remove any metal items from pockets. Remove coats and jackets and place in plastic bins. Remove all electronics, including computers from carry ons and place in plastic bins. No liquids, gels and/or aerosols are permitted EXCEPT one clear transparent re-sealable one-quart (l liter) size plastic bag which may contain liquids, gels, and/or aerosols in containers of 3 ounces (90 ml) capacity or less per container. 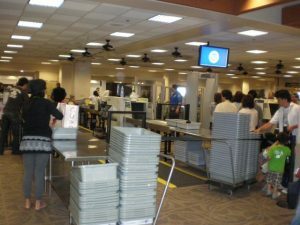 The plastic bag containing the liquids, gels and/or aerosols must be completely closed/sealed and subjected to x-ray inspection separate from other carry-on baggage. For more information please check the Transportation Security Administration’s Security Screening page. For information about passenger screening for persons with special needs or medical conditions visit the TSA’s Disabilities and Medical Conditions page. Please go to Airport maps for checkpoint locations. 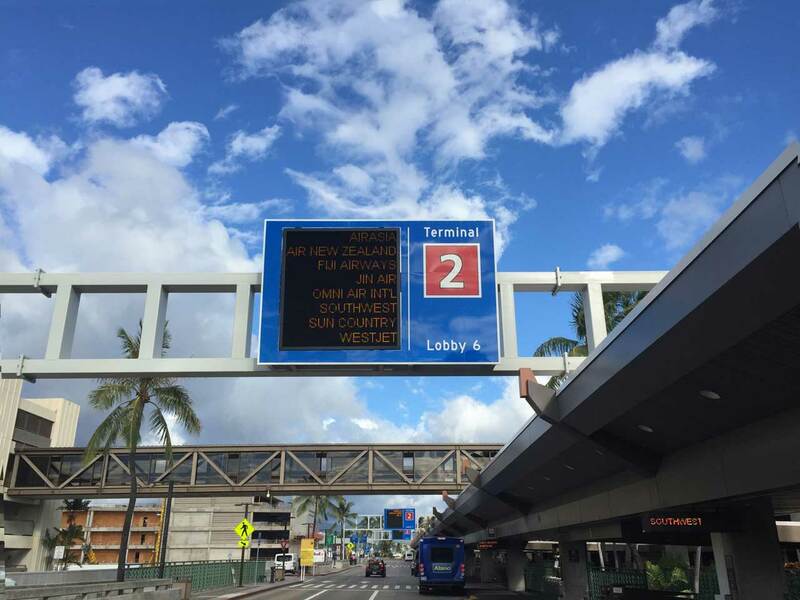 HNL01 Checkpoint (Hawaiian) – Besides the Central Lanes. Lower Level Checkpoint – Middle of terminal. Mauka Checkpoint – besides the Central Lanes. Makai Checkpoint – besides the Central Lanes.